Welcome to my Real Food to Go series! Here I chronicle what I pack for my husband for his lunches. It will also give you a good overview of what we make in an average week for our meals. We have been trying to increase our salmon intake and these wild salmon burgers from Costco are delicious. 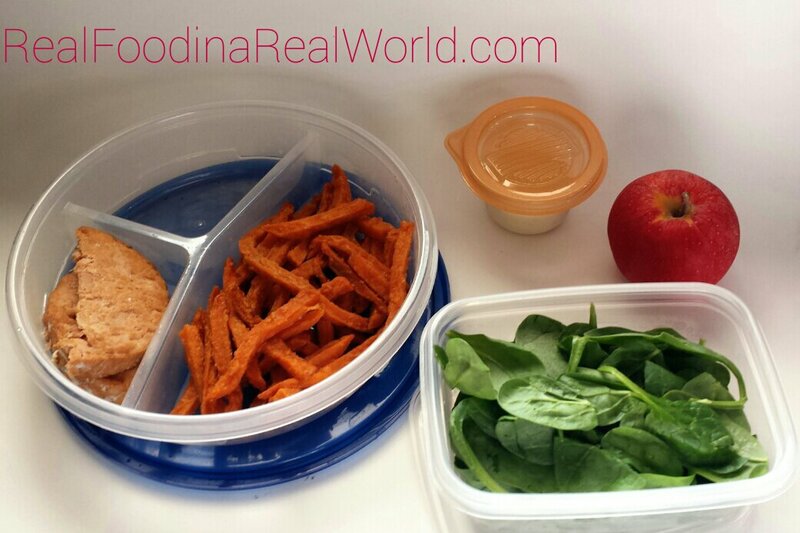 I also packed some Alexia sweet potato fries and a baby spinach salad. Speaking of salmon, here was another salmon day! some wild smoked salmon along with a bagel and cream cheese. I think these bagels were from our trip to the Whole Foods in Detroit, and the cream cheese is the 365 house brand. Also packed an apple, some smoked hunters sausage and a Chobani yogurt. This meal got sent a few times and never photographed! 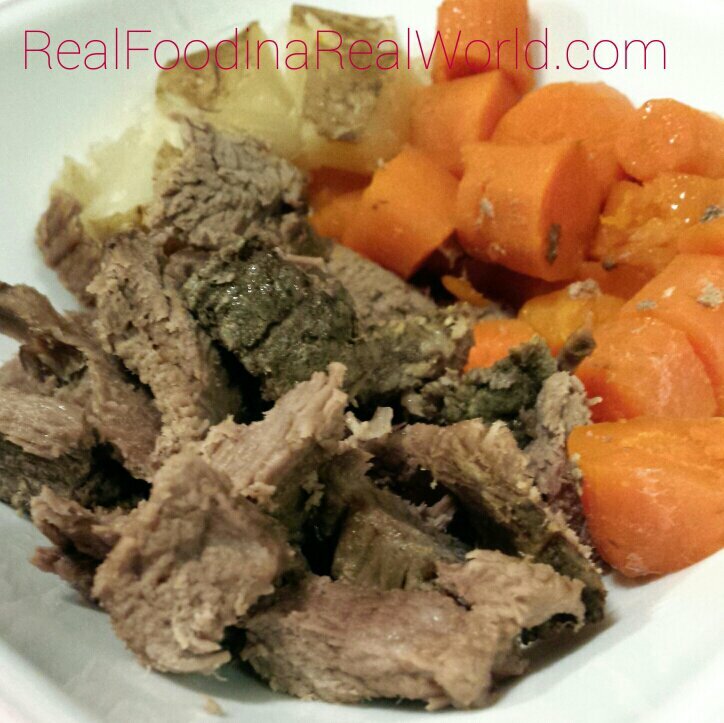 I made a crock pot roast (hunk of grass fed beef, carrots, potatoes, garlic, onion and Celtic sea salt) that fed us for a few days! 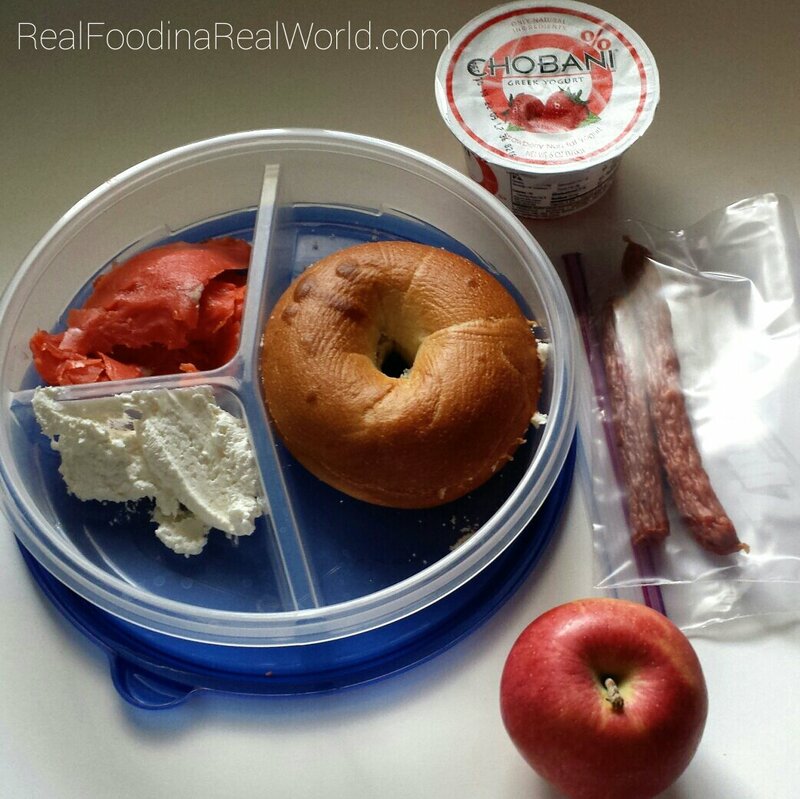 What are you packing this week for lunch? What are some of your favorites?